The Addison Apartments put you at the center of comfortable living in Vancouver, WA. Situated in the serene Ogden neighborhood, our pet-friendly apartments give you easy access to downtown Vancouver or nearby Portland. Minutes away from I-5, I-205, and US-500, our community is ideally located, whether you’re commuting across the Columbia or staying close at one of the major employers just around the corner like Peacehealth Southwest Medical Center or C-Tran. Near plenty of local schools, including Washington State University and Clark College, The Addison Apartments puts you exactly where you need to be. When you live in the welcoming Ogden neighborhood, you’re never far from shopping, dining, or entertainment. With Winco across the street, you’ll always be fully stocked on groceries, and with a Starbucks in walking distance, you’ll never miss your morning caffeine. When you want a night out, head into downtown Vancouver or Portland or choose from the many nearby restaurants, including Bosnia Restaurant, featuring homestyle Eastern European cuisine, or Hudson’s Bar and Grill for traditional American fare. With Vancouver Mall and several movie theaters just minutes away, you’ll have plenty of shopping and entertainment at your fingertips. 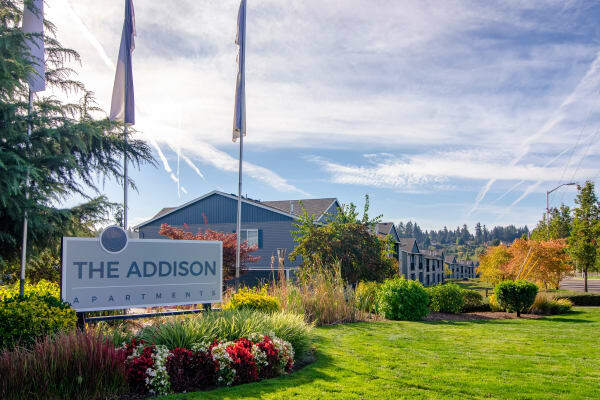 The Pacific Northwest is known for its outdoor lifestyle, and at The Addison Apartments you’ll always be close to the great outdoors. With Meadowbrook Marsh Park and David Douglas Park a short drive away, as well as the 8 miles of the Burnt Bridge Creek Trail, just down the street from your new home, you’re never far from nature. Hikers will love having easy access to the Columbia Gorge, and sunbathers can spend summers at Wintler Community Park, right on the Columbia River. Want to explore Vancouver, WA? Schedule a personal tour today.